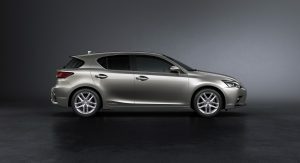 After seven years in the market during which it received several minor facelifts, Lexus has come up with yet another subtle update for its aging CT 200h. 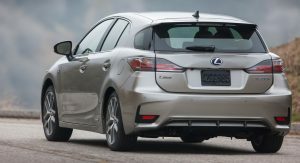 But before we give you a rundown of what’s new for the 2018 model, let us tell you that we contacted a Lexus spokesperson who told Carscoops that the CT 200h will indeed be dropped from the company’s U.S. lineup this year, as rumored. 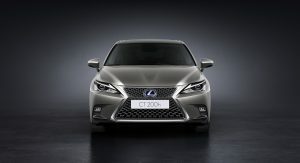 With 300,000 units sold worldwide from December, 2010 to May, 2017, the CT 200h hasn’t exactly been a success, but Lexus claims that “sales have remained strong in key geographic regions that include the European Union, China and Japan, where hybrid-vehicle sales continue to grow”. In the States, Lexus has sold 3,311 units from January through May, 2017, which is 11.2 percent down from last year. Can you tell me what’s new about the exterior? Well, we won’t blame you if you resort to comparing pictures of the 2018MY with the 2017MY, to find the differences – if you’re not in the mood, we did it for you below. 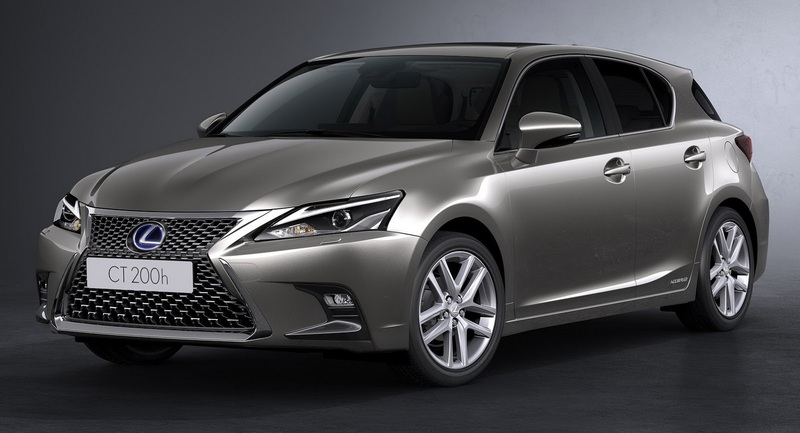 Perhaps the biggest change is that all models get the uninterrupted (at least until you screw your license plate) F Sport style ‘spindle’ grille with a mesh pattern instead of horizontal bars. Moreover, the fog light bezels are now painted metallic grey and are enclosed by an outer frame with a triangular cross-section, while Lexus repositioned the Nike swoop “L” daytime running lights above the single-projector headlamps. 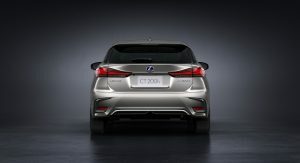 At the back, you’ll find redesigned wider “L”-signature shaped taillights in an all-LED configuration combined with a sportier designed center section on the tailgate that hints at a spoiler. 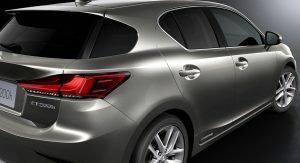 The rear bumper was also restyled. 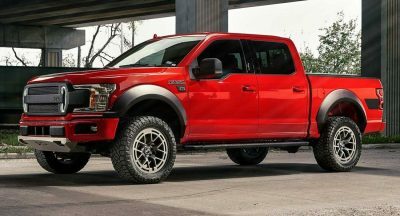 Completing the exterior revisions are new wheels, ranging in diameter from the base 15-inch (yes, they’re still offering them) to the F-Sport’s 17-inch dark metallic rims. 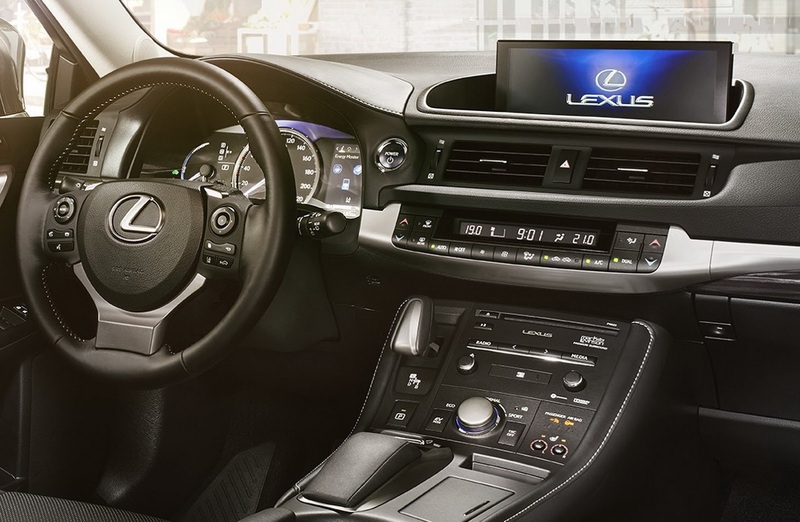 Not much, but Lexus did add a new navigation system with a much larger 10.3-inch wide display screen versus the outgoing model’s 7-in. monitor. 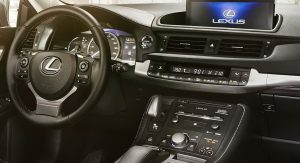 They also expanded the interior color palette with several new combinations including two-tone leather in Sunflare Brown / Noble Brown and Ochre/Light Ochre and Chateau/Fromage, among others, and two new trims, Sunflare Brown Film and Bamboo. And what about the F Sport? 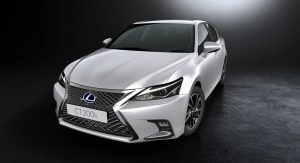 Being that all models now feature the same grille that was previously reserved for the F Sport, Lexus updated the mesh pattern for the spindle grille, with the same mesh now used as a backdrop for both the fog light inserts and surrounds. 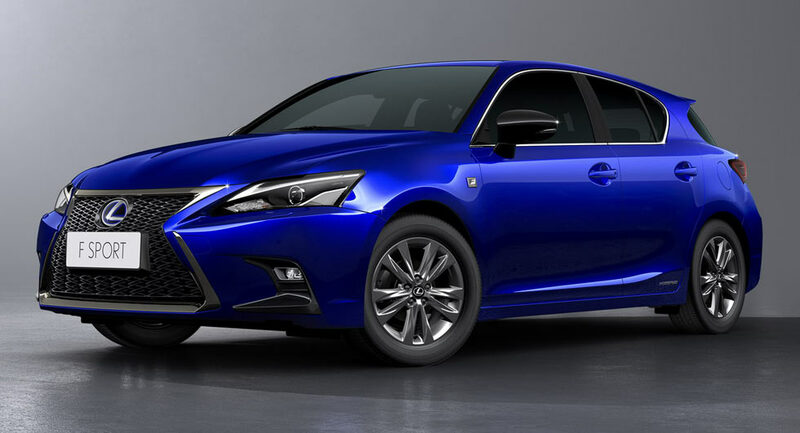 Also, exclusive to the F SPORT, are jet black plating used on the upper and lower front grille molding and a metallic black center lower trim garnish at the rear of the vehicle. 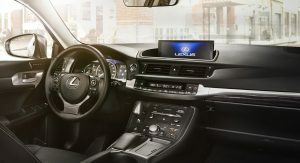 Inside, the F SPORT variant receives new exclusive interior combinations including two-tone leather in Flare Red/Black, White/Black and Chateau/Black and fabric in Black/Red and Chateau/Black. 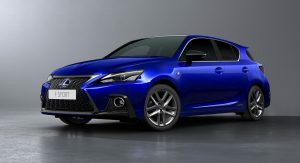 For 2018, the CT 200h F Sport will offer new two-tone exterior paint schemes named Lava Orange CS (Crystal Sunshine) and Heat Blue CL (Contrast Layering). 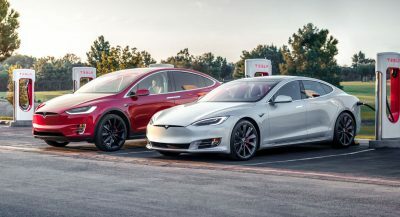 Pretty much yes, with the hybrid powertrain that combines a 1.8-liter gasoline four and an electric motor producing 134hp paired to an ECVT automatic, remaining unchanged. 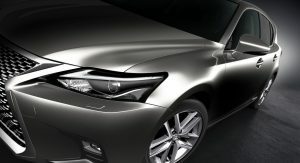 The only other thing Lexus changed is the availability of the so-called Lexus Safety System + package that bundles a number of safety features such as Pre-Collision System (PCS), Dynamic Radar Cruise Control, Lane Departure Alert (LDA) with steering wheel control function and Automatic High Beam (AHB) headlights. 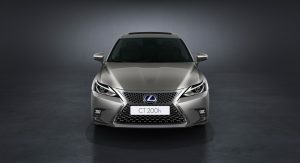 The updated 2018 CT 200h will go on sale in Europe, Japan, China and other select markets around the world (but not in the USA), later this year. I think it finally looks good and they kill it off. Shame, but understood. If it was jacked up like the GLA/QX30 it probably would’ve sold way better. Killed it off when they finally made it look decent. Nice… Seems to me like the should have shoehorned the turbo four from the IS into it, dropped the price to 29,999 or whatever (because hybrids usually cost a premium) and kept it going for like 5 years as their entry level hot-ish hatch. But I’m probably oversimplifying things. Unfortunately a nicer front wasn’t going to save the CT200’s design. The overall shape of it is still awkward and unattractive. 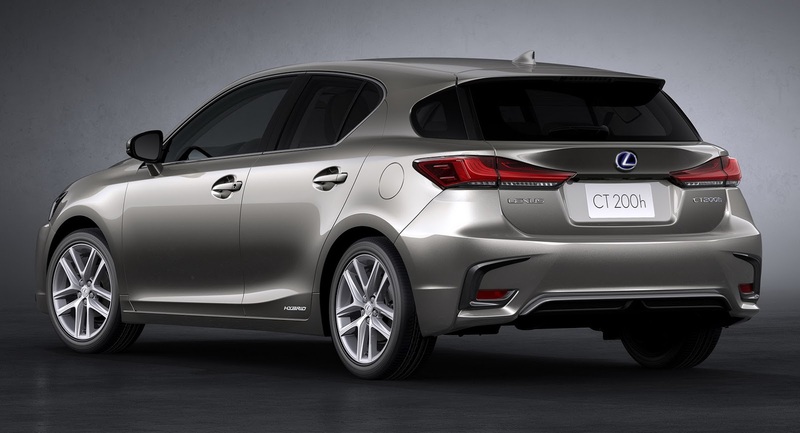 I always sorta liked the CT, just not its underpowered drivetrain. 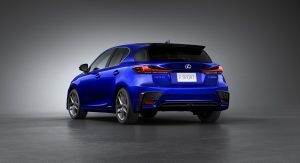 If they were to make this into a hot hatch with a decent gasoline engine I’d be all over it. It has a certain sense of style to it. 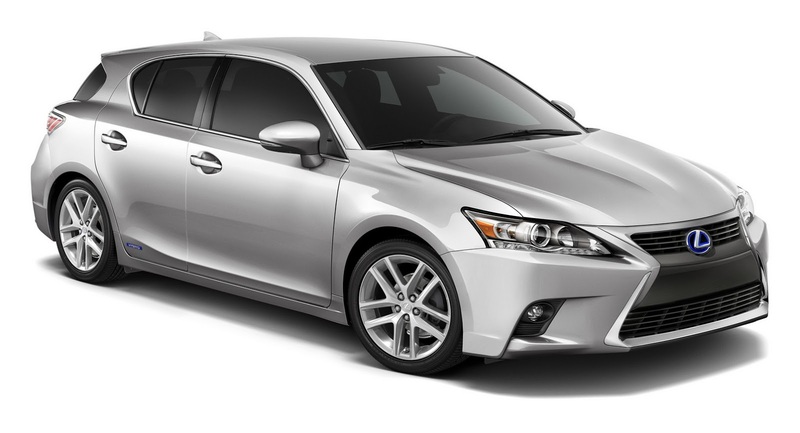 I seem to recall that even the Camry Hybrid had (or has?) 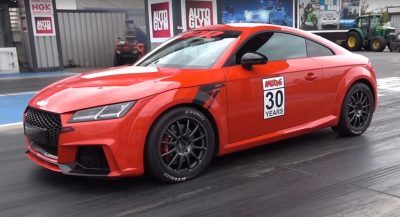 a 200 hp powertrain. How could Toyota hope to market such an underpowered Lexus using the Prius’ powertrain? 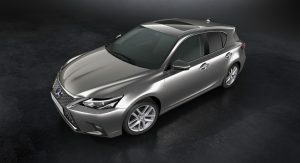 Performance is – or should be – an integral part of any luxury-brand model, hybrid or not. This is another example of a good idea that was bad executed. A rather expensive hatch for how slow it is. I can get a Sonic 5door for half the price, better performance, the infotainment screen and all. 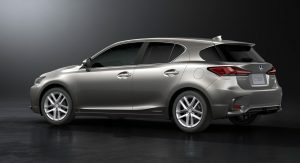 $15k+ more nets you a more luxurious interior and a better mpg and maybe a few more bells and whistles? No thanks. I sat inside a 2015 Prius (Persona trim) and I was quite shocked at how well equipped and luxurious that little car was. 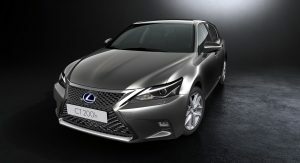 The Lexus is nice but I think the Prius is better executed. It’s also a better value. It should have looked like this after the first facelift. Still not pretty but at least better than the current one. 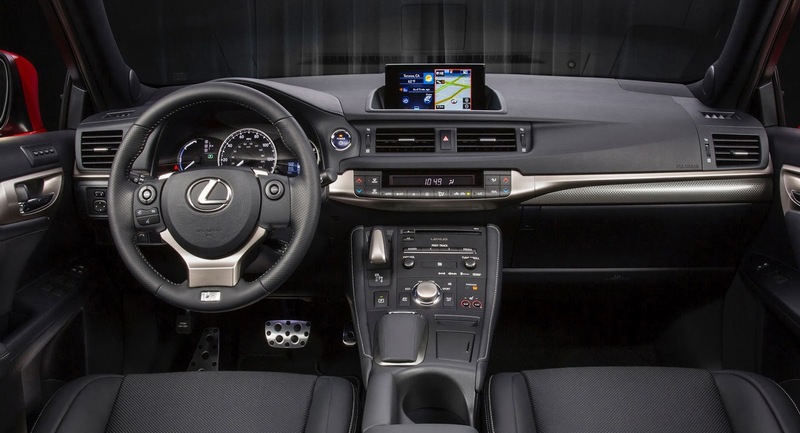 The interior is still a mess with all kinds of (cheap) buttons. 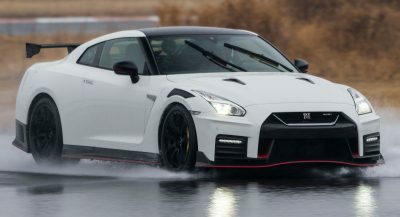 This car car so much potential. At the start they should have dropped the Camry Hybrid in it to give it some performance. And at the mid way point, raise it a few inches to appease the cuv crowd. How do I put this..uhm.. REPLACE IT ALREADY! 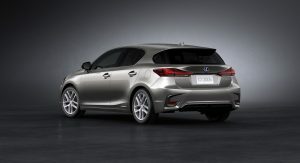 How to contact Lexus to tell them that we didn’t buy it only because it was horribly underpowered? I would love a new generation but I fear that Lexus will decide to drop this segment. 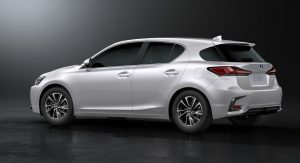 So please do a new one with the the choice between the 2.0 turbo and hybrid system from the IS and you get my money. Never understood the hate for this car. I own an ’11 CT with 130k miles and absolutely love it! It’s only downside is it’s slow acceleration. Other than that, it’s fun, drives sporty’ish, practical, gets great mpg and is world’s quieter and more luxurious inside than a Prius. Lol into upgrading to the NXa while back, but no comparison. I’m bummed this is going away. I do wish they offered this with a gas only option though because i think it would have made it a lot more popular and kept it going longer. That will be the Lexus UX. Next PostNext Doug DeMuro’s Selling His ’97 Dodge Viper GTS Coupe; How Much Would You Give?